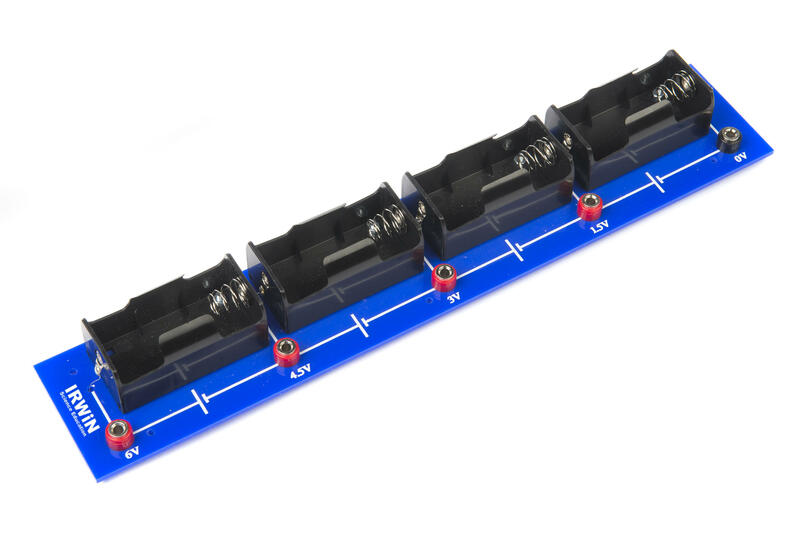 The Irwin Tapped Battery Holder holds 4 x D (R20) batteries with outputs at 1.5, 3, 4.5 and 6V. Batteries and leads not supplied. Each output has a 4mm socket. Manufactured in the UK from premium strong perspex.